How do people work together to advance human rights? Do people form groups to prevent human rights from being enforced? Why? In what ways do circumstances matter to the work of individuals collectively working to shape human rights practices? Human society is made of individuals within contexts—tectonic plates not of the earth’s crust but of groups and individuals who scrape and shift as we bump along, competing for scarce resources and getting along. These movements, large and small, are the products of actions individuals take in communities, within families and legal structures. These individuals are able to live longer, yet continue to remain vulnerable to dangers arising from the environment, substances, struggles for power, and a failure to understand that in most ways we are the same as our neighbors. Yet it is because we live together in layers of diverse communities that we want our ability to speak to be unhindered by others, use spirituality to help us understand ourselves and others, possess a space and objects that are ours alone, and join with groups that share our values and interests, including circumstances where we do not know who our fellow neighbor is. For this reason sociologists have identified the importance of movements and change in human societies. When we collaborate in groups, individuals can change the contours of their daily lives. Within this book you will find the building blocks for human rights in our communities. To understand why sometimes we enjoy human rights and other times we experience vulnerability and risk, sociologists seek to understand the individual within her context. 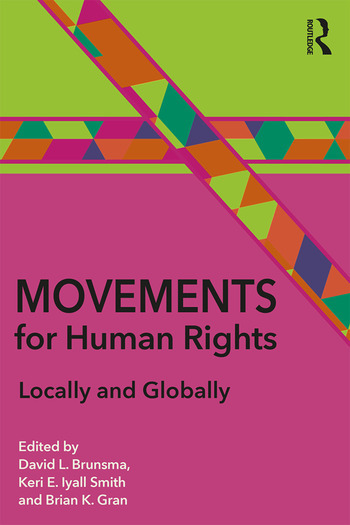 Bringing together prominent sociologists to grapple with these questions, Movements for Human Rights: Locally and Globally, offers insights into the ways that people move for (and against) human rights.